One of the wackier word-play designs by Enid Collins. 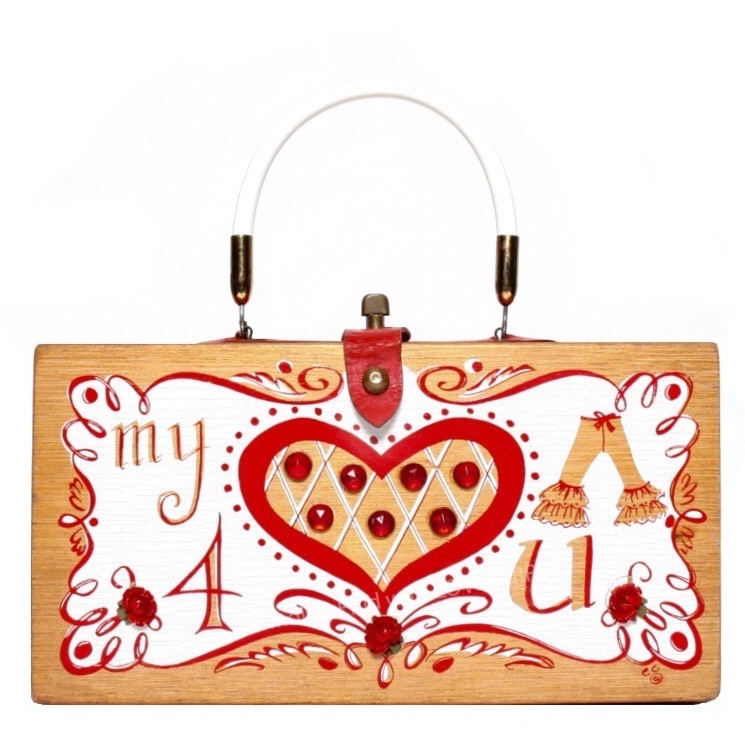 Solid light-toned wood box purse screen printed in bright white and vivid red. Uses numerals, letters and pictures to create a visual pun on the phrase, "My heart pants for you." Large red-outlined heart at center is decorated in round faux ruby stones and flanked by "my" and "4" on left, an illustration of ruffles pantaloons and "u" at right. Three red acrylic rose appliqués decorate the bottom of the design. Enid Collins created several witty designs that play with letters, numerals and images to create visual puns.